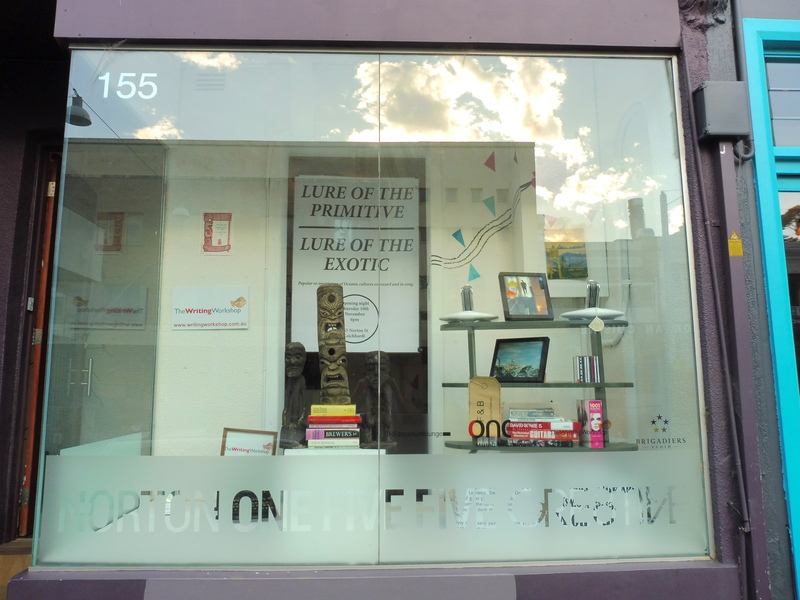 In November, 2016 I curated an exhibition titled “Lure of the primitive / Lure of the exotic: popular re-imaginings of Oceanic cultures on record and in song”. Featuring original record sleeves and sheet music, it explored the representation of Indigenous Australian, Maori, Hawaiian and other Oceanic cultures in popular song and the broader public imagination. From kitschy nursery rhymes to serious ethnographic field recordings, this exhibition was a visual survey of the high and the low, the ‘primitive’ and the ‘exotic’, the ‘authentic’ and the ‘inauthentic’, and how the lines between them have become increasingly blurred. I gave a presentation on the opening night where I used rare 78rpm and vinyl LP recordings to discuss issues surrounding cultural appropriation, representations of race, “authenticity” and exoticism. The material displayed was sourced from my personal collection and that of Charles Phippen. I was also interviewed on PBS radio 106.7FM regarding the exhibition. My segment starts at 92:58 and ends at 108:38.